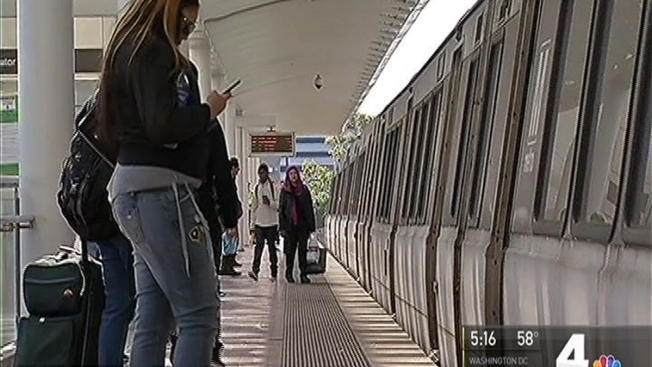 The latest Metro SafeTrack work affects more than 100,000 riders along the Red Line for next month. Some passengers aren’t satisfied with the delays and frustration, making alternative plans to avoid the transit system. SafeTrack 10 is stopping train service between the Fort Totten and the NoMa-Gallaudet U stations until Nov. 22. The Red Line is Metro’s oldest and busiest line. Riders have been faced with long wait times and considering alternate transportation. “Once I get a car, I’ll probably drive it around most of the time,” said Metro rider Charles Nguyen. Metro General Manager Paul Wiedefeld said ridership is plummeting across the system, in part, due to the SafeTrack program. He said rail ridership is down as much as 100,000 trips per day over recent years but most riders are supportive of his plan. “I think what I hear from passengers, people say to be keep doing what you are I’m doing,” Wiedefeld said. “They hate it right now, but they understand that these are the types of things that need to be done." There are shuttle buses to act as bridges between the closed stations, but switching to the Green Line could be a better solution. The work on the Red Line is expected to be enhanced track maintenance and rail, tie and fastener renewal. The next SafeTrack will take place starting Nov. 28 on the Orange Line.